The successful candidate will be working under the direct supervision of Dr Rachel Stephenson as part of a National Health and Medical Research Council-funded (NHMRC) project that aims to develop a glycoconjugate vaccine to prevent group A Streptococcus infection. The successful candidate will be involved in the synthesis and characterisation of carbohydrate and peptide antigens and investigate their immunological profile. Techniques employed include sugar and solid-phase peptide synthesis and characterisation (NMR spectroscopy, automated flash chromatography). During the course of the PhD, the successful candidate will have the opportunity to attend (inter)national conferences to present their research. The candidate will start the project in 2019. Applicants should possess a BSc Hons, MSc, or equivalent, majoring in a relevant discipline (e.g. chemistry, medicinal chemistry). Ideal applicants should have a strong academic performance. Laboratory research experience in carbohydrate/sugar chemistry, peptide chemistry, purification of small molecules, and NMR will be considered favourable. Excellent oral and written communication skills, motivation and the ability to work as part of a team is also required. 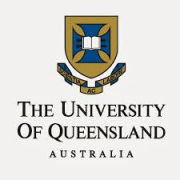 Applicants must be eligible to enrol in a PhD with the University of Queensland. For a complete list of the University of Queensland's minimum entry requirements please refer to: http://www.uq.edu.au/grad-school/our-research-degrees. One or more peer-reviewed research publications. A background in chemistry is preferred. Applicants must note that selection by The School of Chemistry and Molecular Biosciences (SCMB) for participation in this research project, and admission to UQ are two separate processes. The applicant who successfully applies to this PhD research project opportunity will then be required to apply to the UQ Graduate School for admission. SCMB will assist the successful applicant with their application for admission, but note that a successful application to SCMB for this research project does not guarantee a successful application to the UQ Graduate School for admission. Selected prospective students will receive assistance to apply for University living allowance and tuition fee scholarships. The 2018 Research Training Program (RTP) living allowance stipend rate is AUD$27,082 (indexed annually), which is tax-free for three years with two possible extensions of up to 6 months each in approved circumstances (conditions apply). For further information on scholarships refer to: http://www.uq.edu.au/grad-school/scholarships-and-fees.